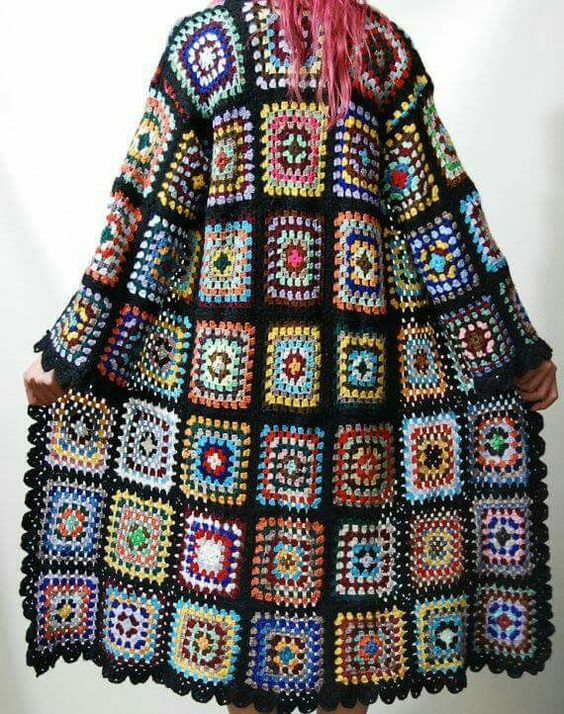 Who thought granny squares could look so chic? Or the joy of vintage and handmade mashed so beautifully into lustful street style? Bring on the most wanted piece this winter..
Love, look and laugh. Hopefully coming to a charity shop near you.. Written by Maison Bentley Style 4 Comments Posted in 2018, Classic, Coats, Craft, Design, Fashion, jumpers, retro, Street style, Style, Trends, vintage	Tagged with Granny knit, granny knit cardigans, winter knits, wool coats, wrapping up!